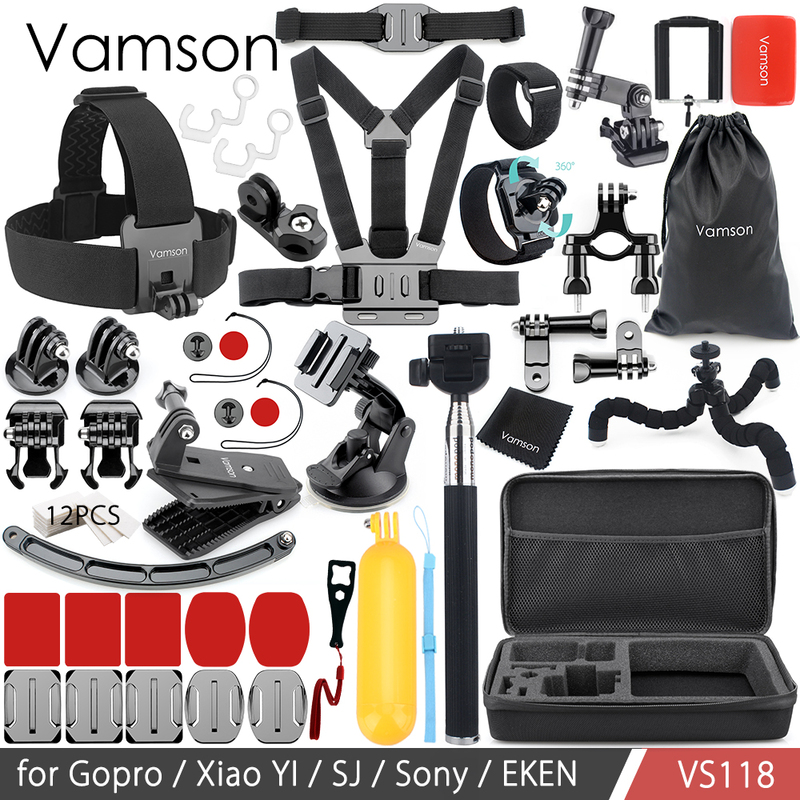 1, These are awesome accessories for Gopro HD Hero 5/4/3+/3/2/1 Camera. 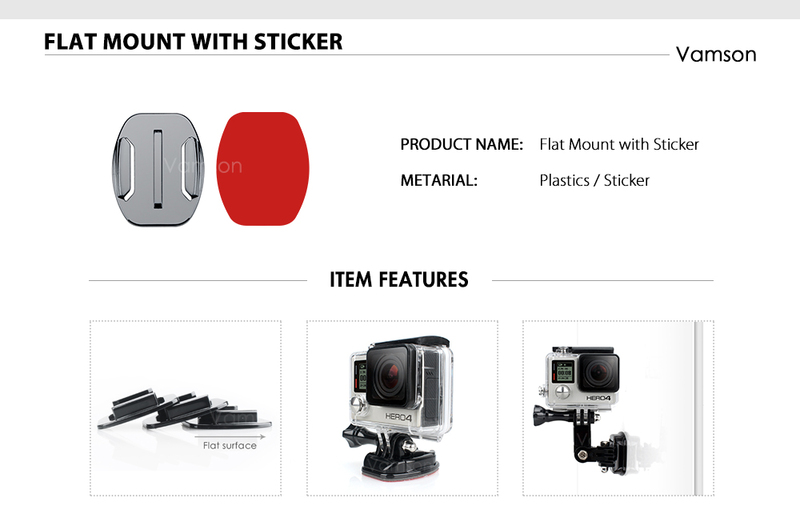 2, Bike Handlebar Holder for Gopro. 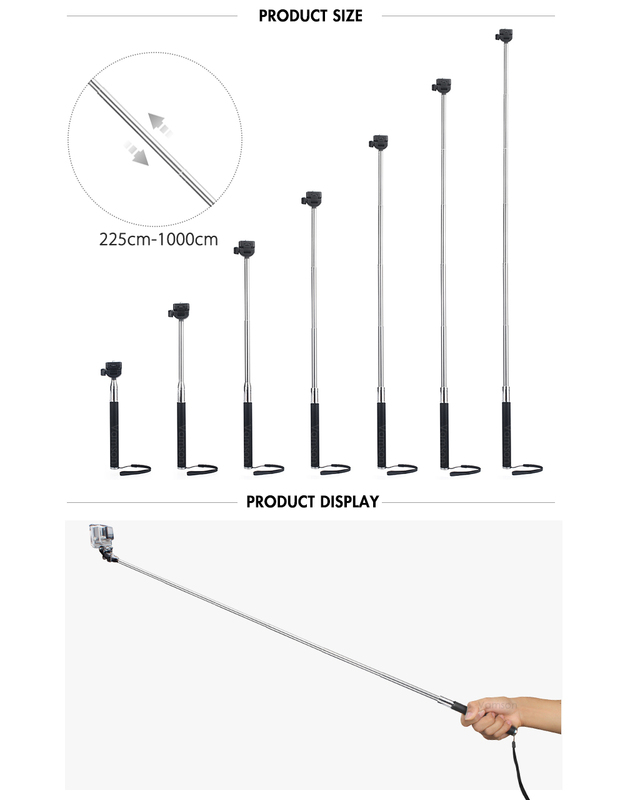 Clamp mounts on tubes, frames and other objects with diameters ranging from 0.75 - 1.4 inch. 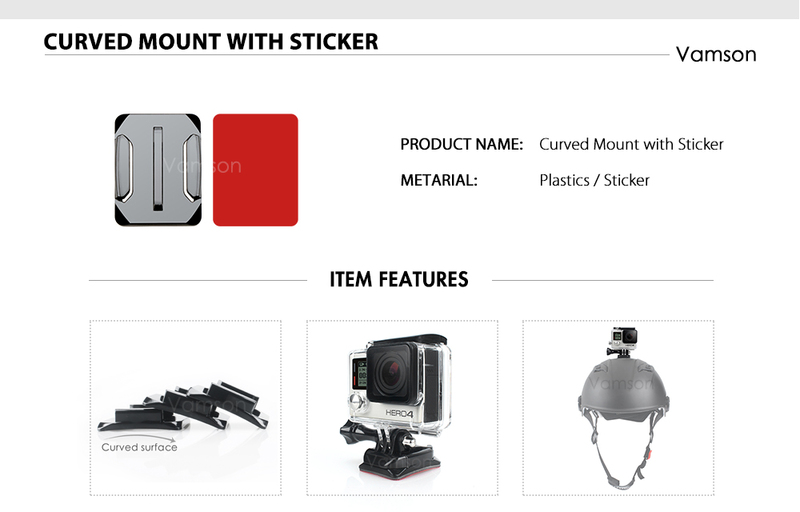 Suction Cup Mount Holder can be fixed firmly on any smooth surface and easy for you to install. 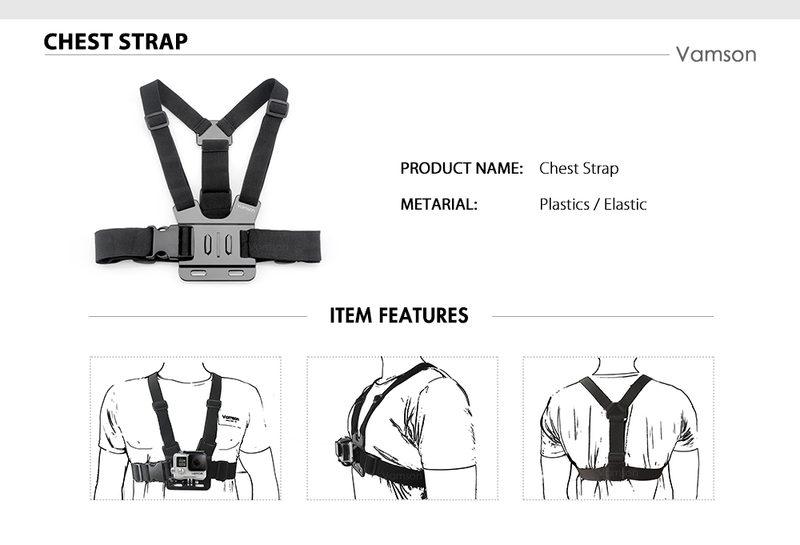 3, Chest Strap Belt, Comfortable, fully-adjustable design fits all shapes and sizes, including over large jackets. 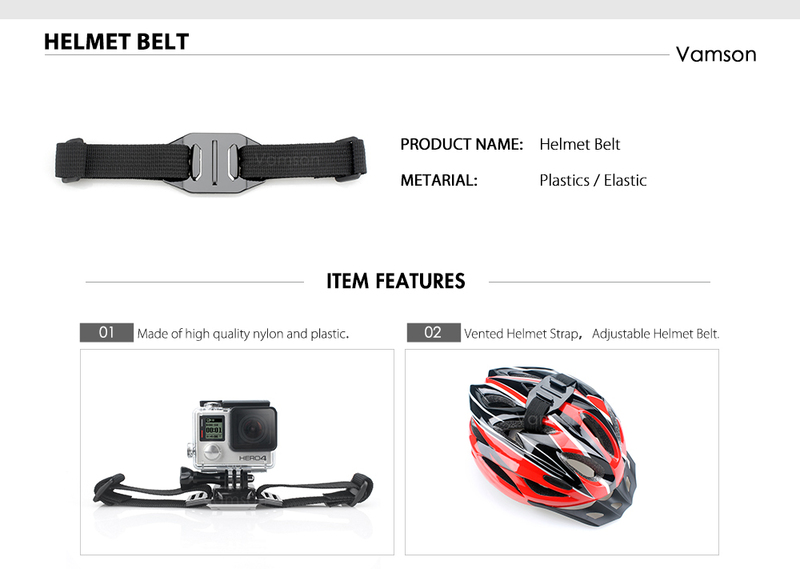 Perfect mount for skiing, kayaking, biking, motocross, equestrian and other action sports. 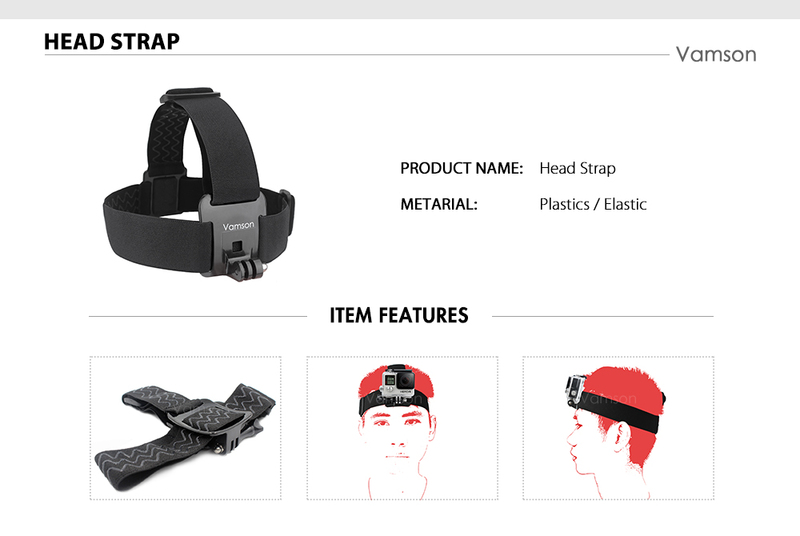 4, The adjustable head strap is compatible with all sizes GoPro cameras. 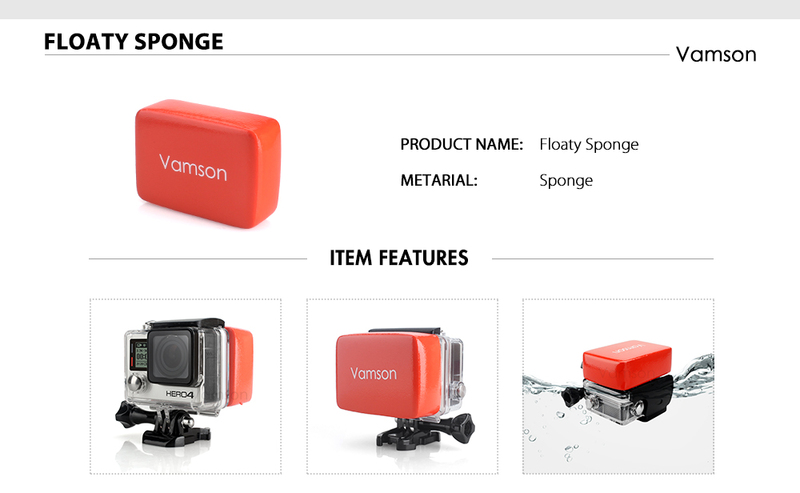 It allows you to use the Gopro camera on head or helmet to record those before you. 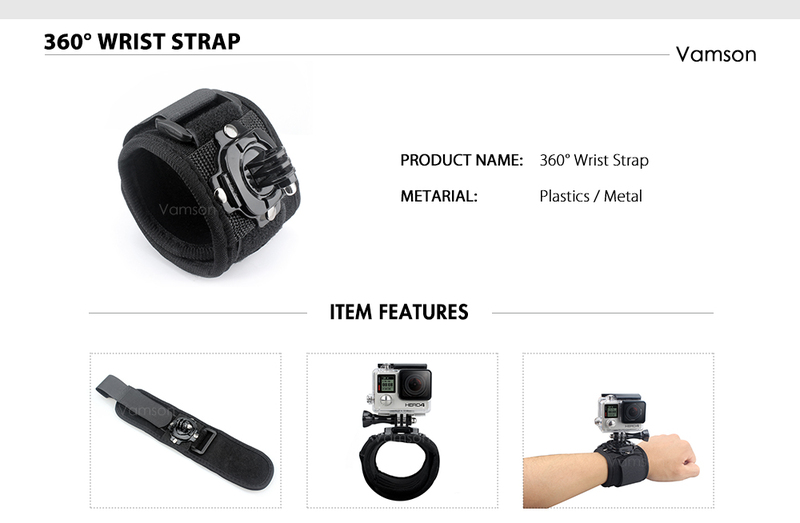 The Chest Harness Strap Belt helps your Gopro camera to have a shooting and recording steadily on the chest. 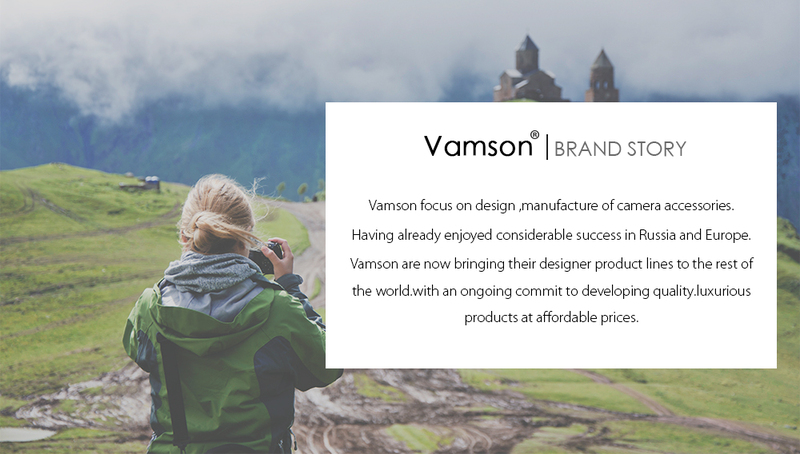 Used in bicycle and autocycle riding,sking boating, fishing,hiking,etg. 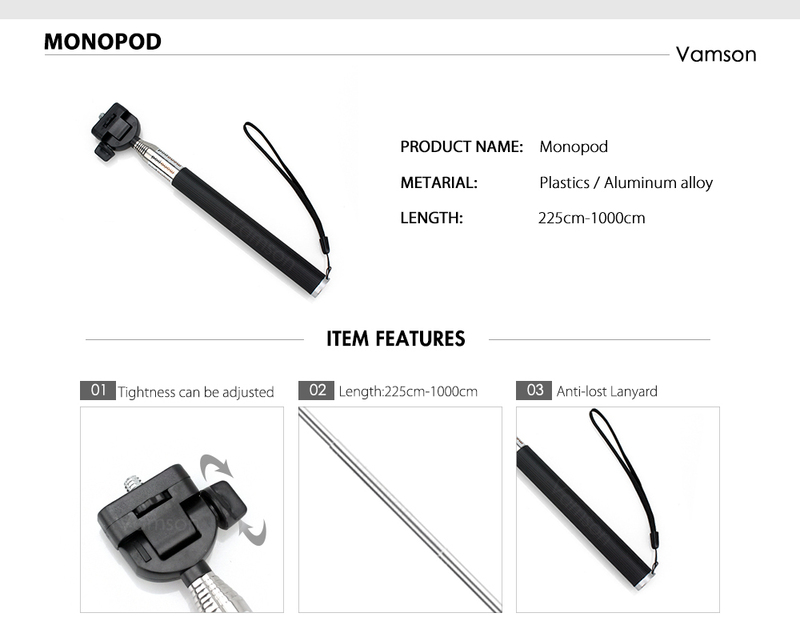 5, The extendable handheld Monopod can work with all compact point and digital cameras that has self-timer and tripod. 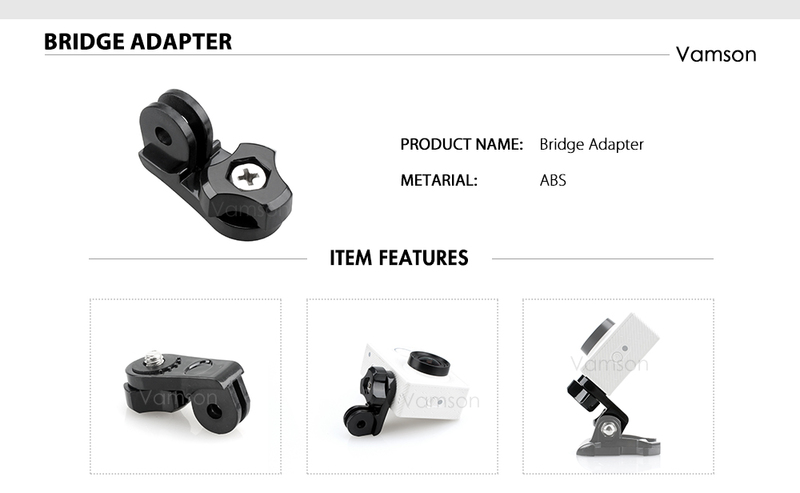 Adjustable ball head and thumb screw locks for multiple angle shooting with 180 degrees position. 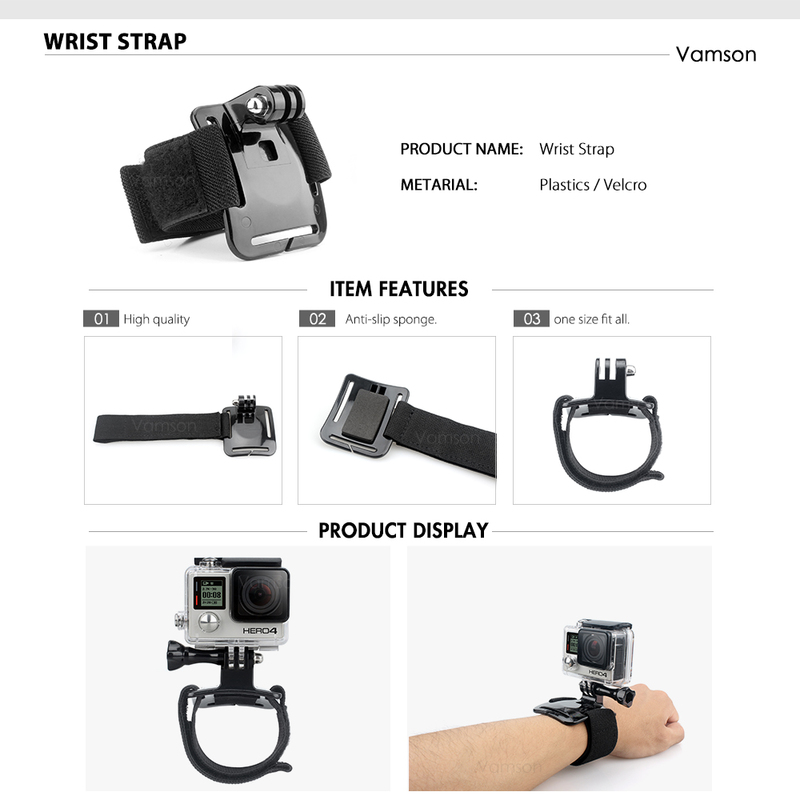 Floating Hand Grip is designed for Gopro Hero and be used in water sports timer. It Has a bright yellow in the water and can easily be found. 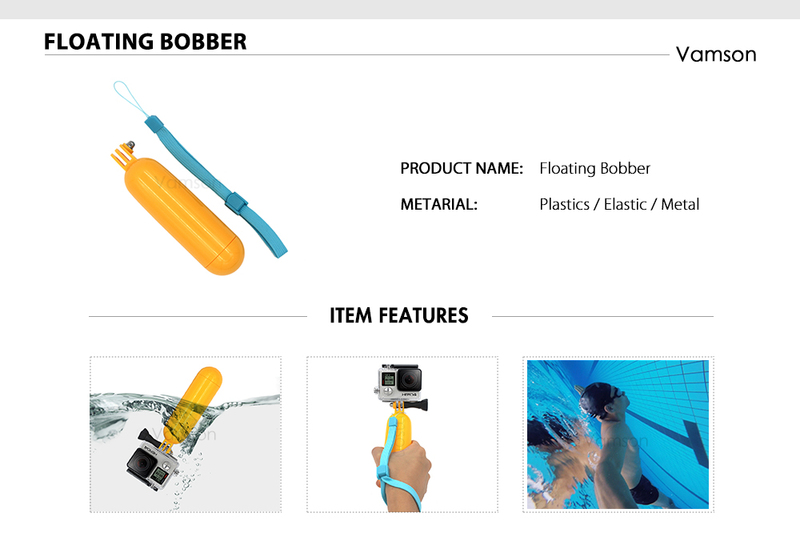 Float designed to keep your camera with a waterproof shell easy to float on the water. 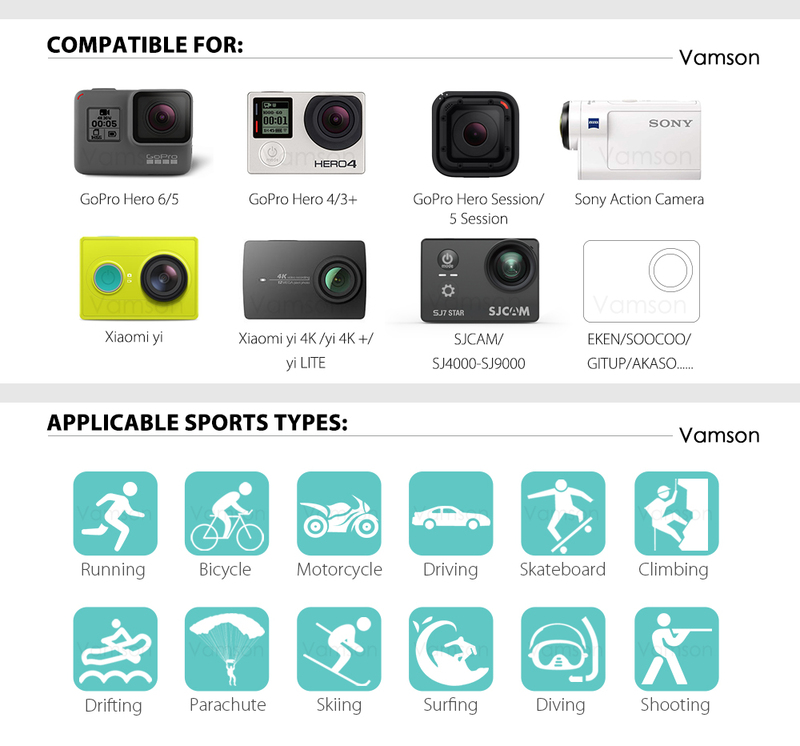 6,The GoPro anti fog inserts are necessary if you are take your GoPro underwater or into humid places. Insert a few of these into the camera housing, it will not fog up.